Home / New Saami Bracelet Kits in Fantastic Colors! 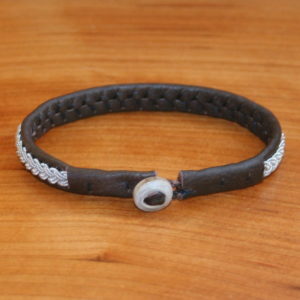 Sign Up for the Blog and get 20% off your order. 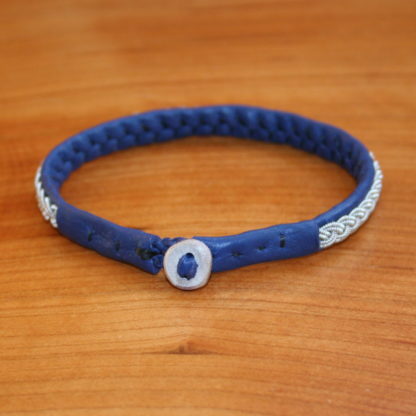 How to make a bracelet is easier than ever. 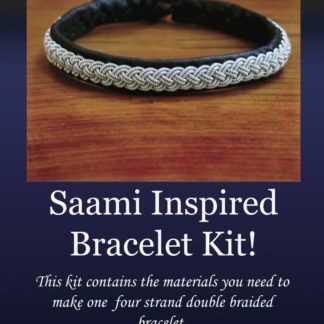 If you haven’t been introduced to the Sami bracelet kit yet then you are going to be blown away by how cool they are. 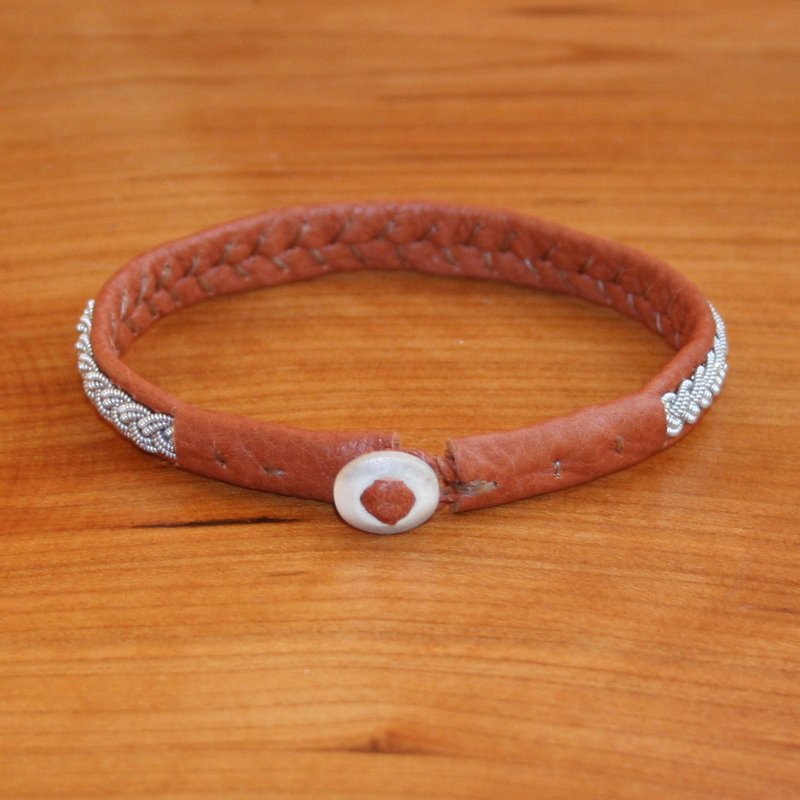 These bracelet making kits contain reindeer leather, antler buttons and pewter thread imported directly from Sweden. The techniques used to create these bracelets are steeped in the history and tradition of the Sami culture. 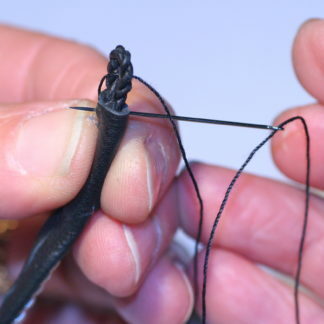 This keeps the tradition of handy crafts alive. This craft is enjoying a new and growing appreciation in the United States. 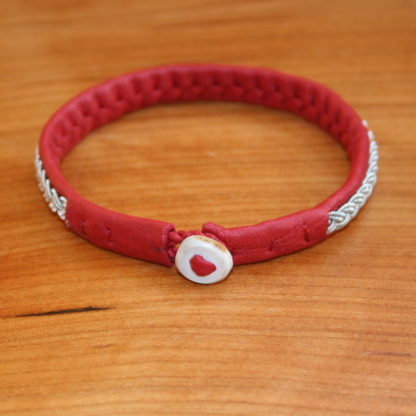 Check out the Sami inspired craft and get the bracelet kit today! 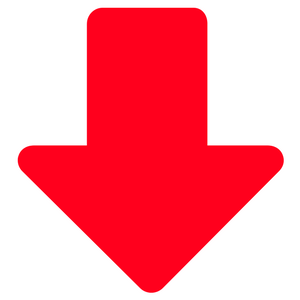 For more on the culture see the link below at the bottom of the page. 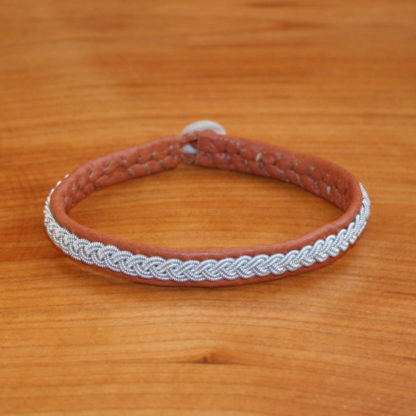 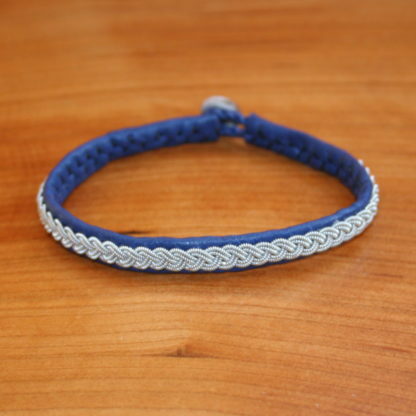 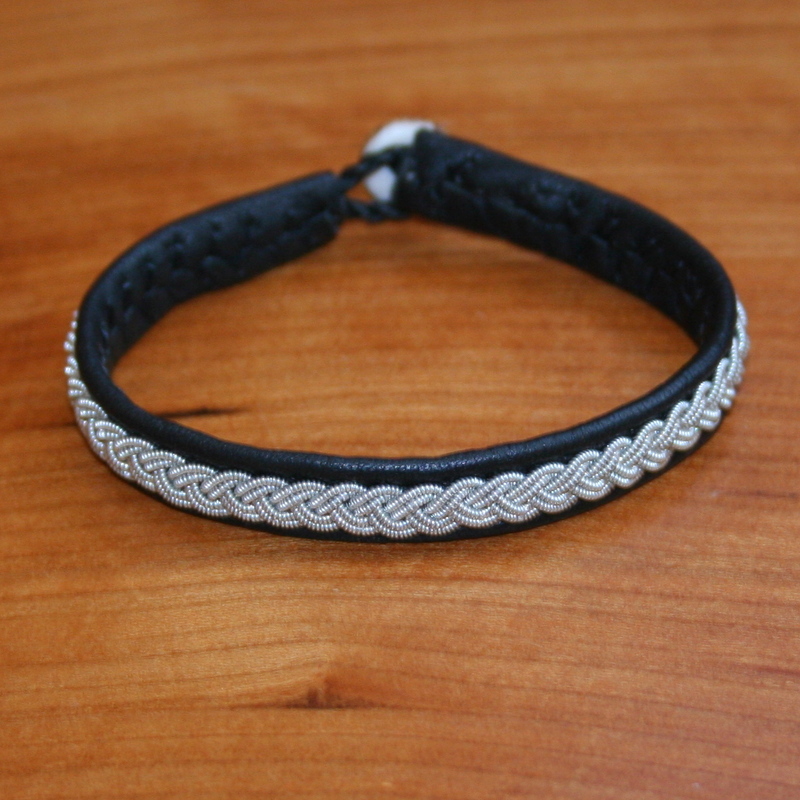 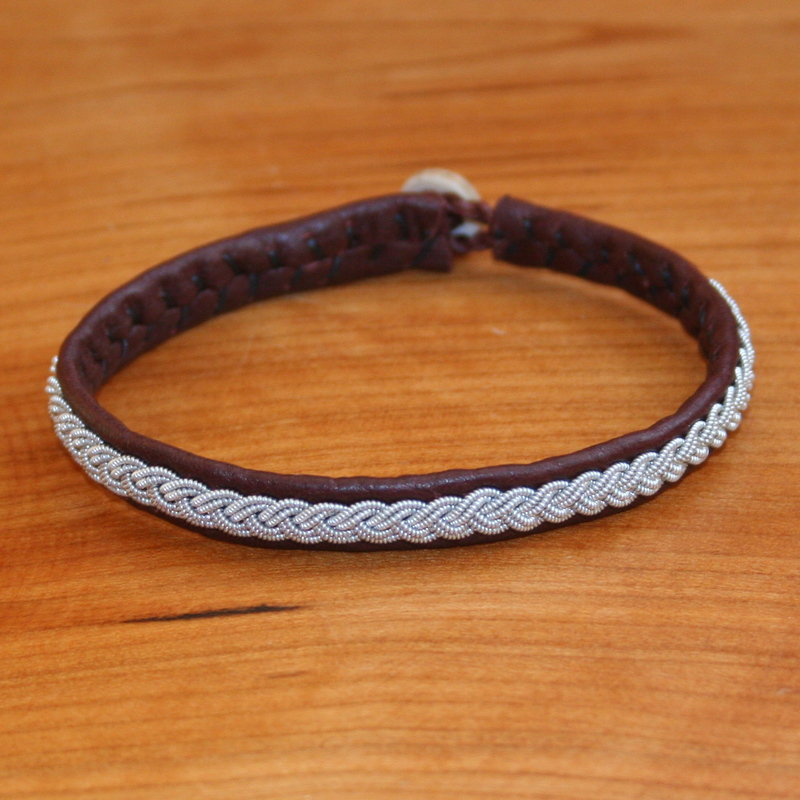 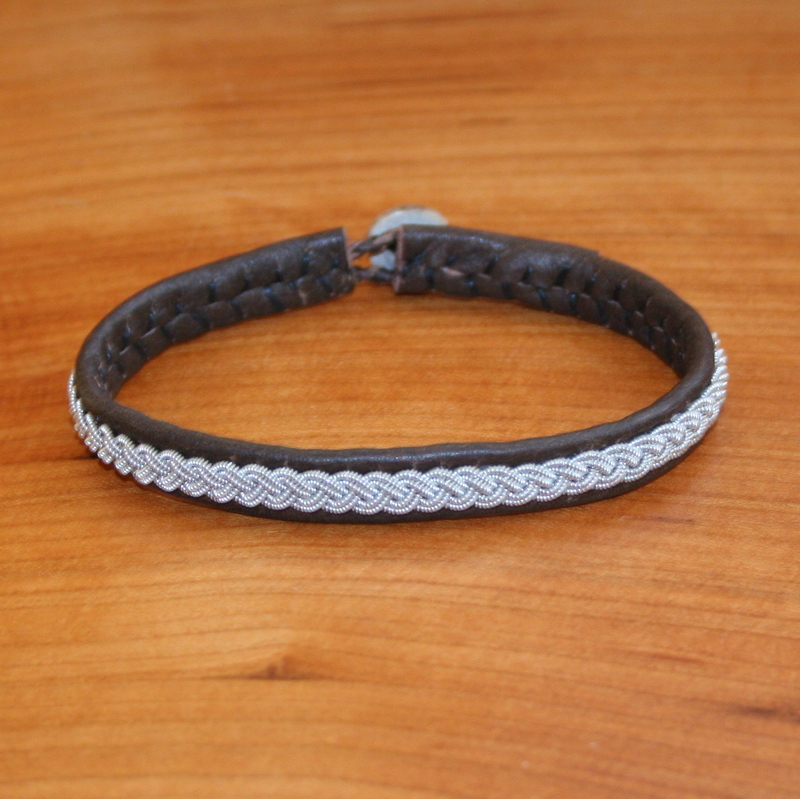 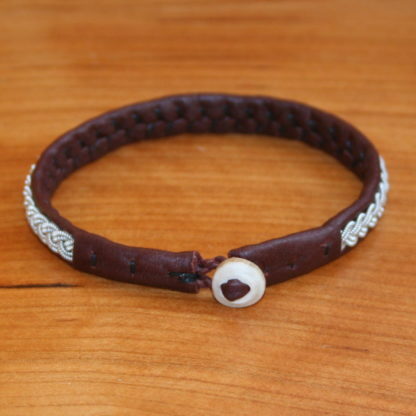 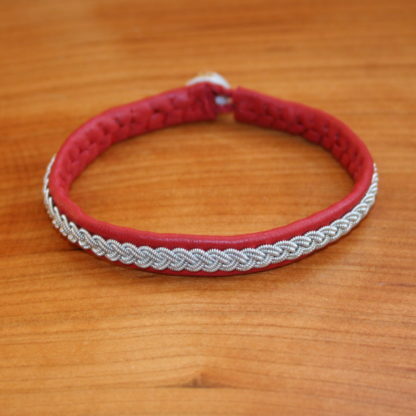 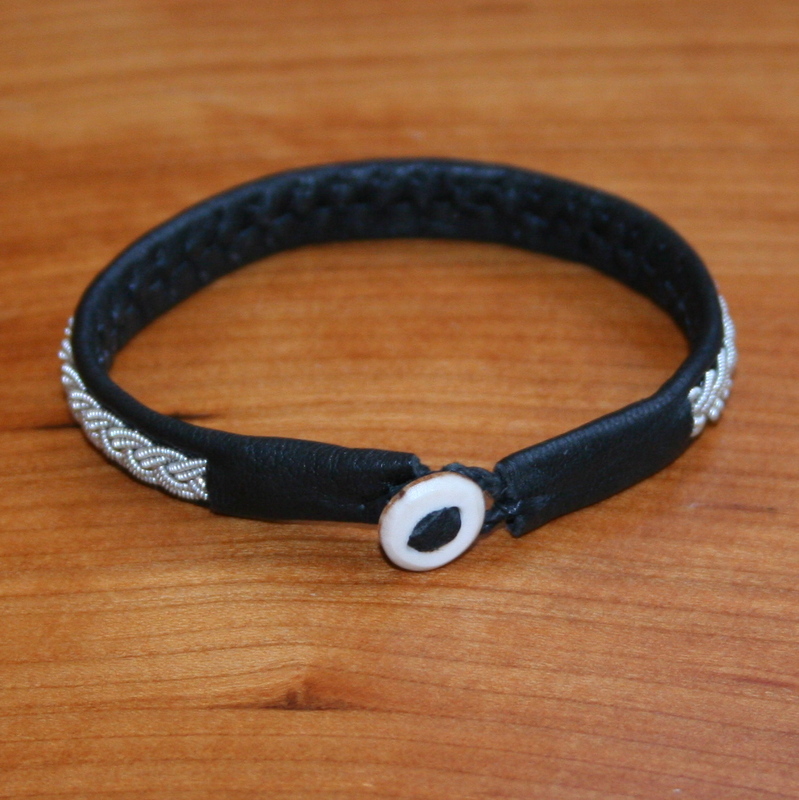 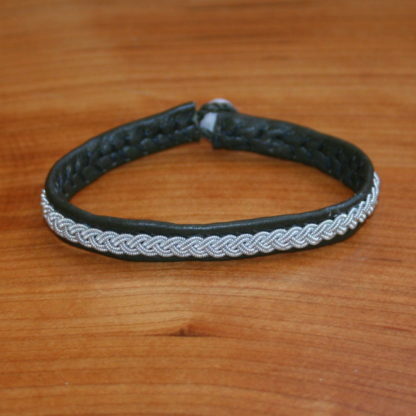 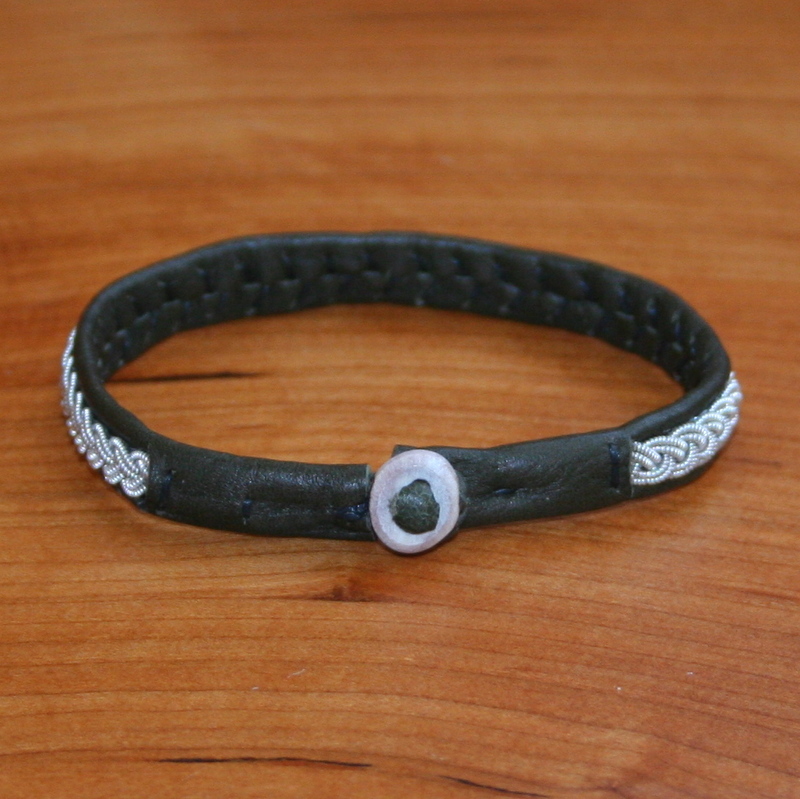 This kit contains materials and directions for 1@ double braided bracelet. 1.New Saami Bracelet Kits in Fantastic Colors! 2.Our beginning double braided Saami Bracelet Kits have been so popular we’ve decided to add 6 new colors of reindeer hide! 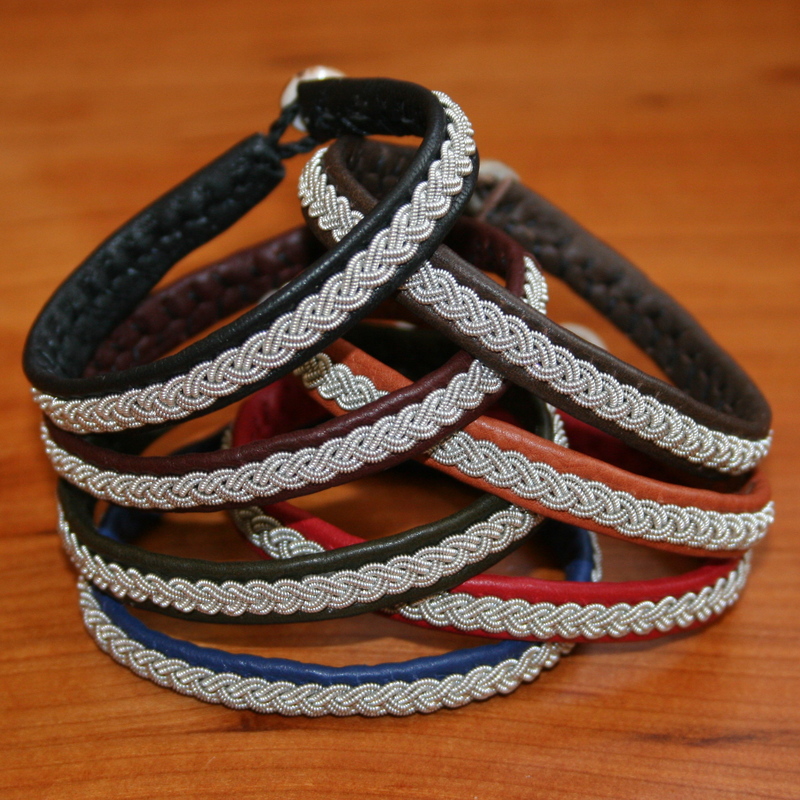 3.In addition to our traditional black leather you can choose from red, blue, olive, tan, antique brown and merlot leather for a splash of color. 4.In addition to more bracelet color choices we’ve replaced the CDROM instructions with a downloadable PDF feature. 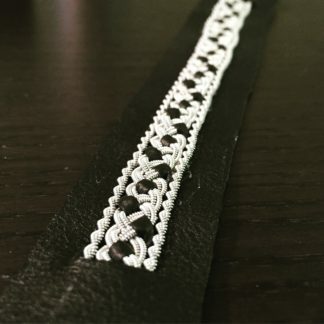 5.Stay tuned for new kits featuring different braid variations and projects accompanied by video instructions with feature Saami Inspired Bracelet instructor Liz Bucheit.